The U.S. foreclosure rate fell to 0.7 percent of properties with a mortgage as of June, with 4.5 percent of borrowers more than 30 days delinquent on payments. 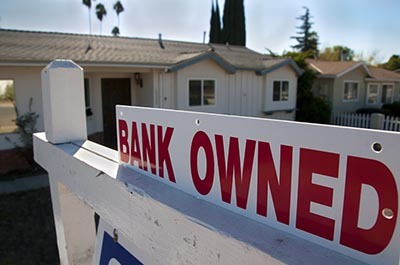 California’s foreclosure rate was 0.2 percent, with 2.8 percent of borrowers more than 30 days delinquent. Foreclosure rates in the Bay Area ranged from 0.2 percent in San Francisco, Santa Rosa, and Napa to 0.4 percent in San Jose. CoreLogic’s most recent Loan Performance Insight Report, which tracks the health of the mortgage market through June of this year, puts the U.S. foreclosure rate at 0.7 percent, the lowest in a decade. The number of borrowers who were more than 30 days delinquent on their mortgage payments also dropped from one year earlier, to 4.5 percent. CoreLogic Chief Economist Frank Nothaft attributed the declines to home price growth, up 6 percent since June 2016, and an economy that added 2.2 million jobs over the past year. California’s foreclosure rate was 0.3 percent as of June, down from 0.4 percent one year ago. The 30-plus-day delinquency rate also declined on an annual basis to 2.8 percent of properties with a mortgage. The San Francisco, Santa Rosa, and Napa core-based statistical areas had slightly lower foreclosure rates than the statewide average, all at 0.2 percent, while San Jose had a 0.4 percent foreclosure rate. A seperate study from ATTOM Data Solutions puts foreclosure rates even lower for the first half of 2017: 0.11 percent in San Jose, 0.15 percent in San Francisco, and 0.17 in Santa Rosa. The amount of borrowers more than a month delinquent on mortgage payments ranged from 1.7 percent in Santa Rosa to 4.9 percent in San Jose. Both 30- and 90-day delinquency rates dropped from June 2016 in all Bay Area regions for which CoreLogic tracks data. Nothaft said that he expects mortgage-delinquency rates to further decrease over the next year, driven by continued job growth and projected home price appreciation of 5 percent.